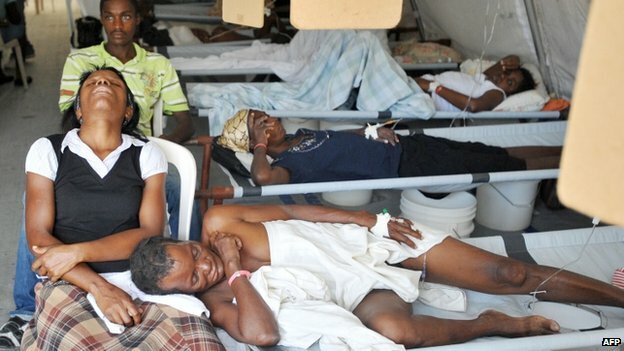 A UN-appointed expert has publicly disagreed with the world body and called for “full compensation” for the victims of a cholera epidemic in Haiti, the BBC reports. Gustavo Gallon also said in his report that “those responsible” for the outbreak should be punished. Mr Gallon is a UN-appointed expert on human rights in Haiti. 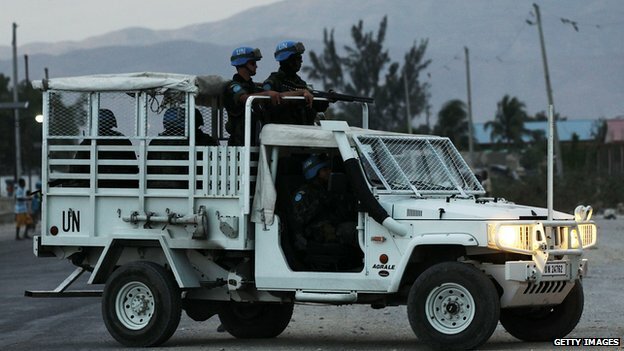 Evidence suggests UN peacekeepers introduced cholera to Haiti in 2010, but the world body has rejected compensation claims. The outbreak – which has killed more than 8,300 people and infected hundreds of thousands – has been blamed on leaking sewage pipes at a UN base. The UN has never acknowledged responsibility for the epidemic, arguing that it is impossible to pinpoint the exact source of the disease. The organisation says it has legal immunity from a lawsuit filed for Haitian victims at a New York court last year. Mr Gallon made the comments in a report on the human rights situation in Haiti. “The diplomatic difficulties around this question have to be resolved to stop the epidemic as soon possible and pay full compensation for suffering experienced,” he wrote. Mr Gallon said the UN “should be the first to honour” the principle of compensation for victims of human rights violations. He added that “silence is the worst of responses” to a “catastrophe caused by human action”. BBC international development correspondent Mark Doyle says the report has once again exposed what is an unprecedented legal and moral crisis for the UN. It is not yet clear how Mr Gallon’s remarks may affect the ongoing lawsuit in the US, our correspondent adds. Lawyers for the victims are demanding compensation of $100,000 (£62,000) for every person who died and $50,000 for each of those who became ill. But the UN argues it is immune from such claims under its Convention on the Privileges and Immunities of the UN. No cases of the bacterial infection, which causes diarrhoea, nausea, vomiting and muscle cramps, had been recorded in Haiti for a century until the outbreak in late 2010. Cholera is spread through infected faeces. Once it enters the water supply it is difficult to stop – especially in a country like Haiti which has almost no effective sewage disposal systems.